For my fellow Abecedarian tutors out there, I have been working these past 2 days on the first 6 weeks of Science Projects. (Trying to do some advanced planning and get my ducks in a row!) 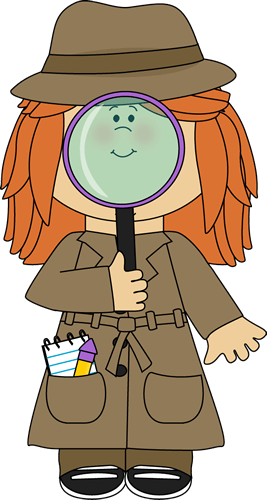 One fun thing that I am doing with the Science Projects this year is to dub my Abecedarians–“Science Detectives.” I will refer to them in calls as “Science Detectives” and encourage them to help solve the science mystery of the day (aka “the experiment”) using the Scientific Method. I will explain that the Scientific Method will be our “map” that we will follow to conduct our experiment, and it will lead us to SOLVE THE MYSTERY of the experiment! Have fun LEARNING this year! To know God and to make Him known!